This September, Greater Public surveyed our members with the goal of determining how well we were serving them in our four main resource areas: our website, our ongoing webinar series, our professional advising team, and Benchmarks for public media. We serve fundraisers in public media - the ones who make sure public and community radio have the means to serve listeners - and we want to ensure we’re providing the best information and cutting-edge ideas so that they may succeed and, ultimately, public media succeeds. In this post, I’ll be sharing some of the raw data that our survey yielded, along with our own impressions of what it means, why it’s important, and what we’re doing to make our resources better. We all take surveys (or are asked to!) and we almost never see what companies are doing with them. We want to be transparent about the feedback we get and what we’re doing about it. We also know many of our members also conduct surveys and we want to reveal how we go about doing ours so you can see too. As we reviewed the results, we found that few criticisms were truly surprising to us. We had a sense for where we needed to do better before the survey went out, and had begun work on several projects that our survey-takers said they needed. We also discovered some new areas for improvement. Surveys can serve many purposes: to illuminate things going wrong you didn't know about, or reinforce what you already knew about needed changes. If you decide to take on a survey, know that the feedback can provide credibility and urgency when you need to, for example, request additional resources to make something better. Awareness: Do they know about it? Use: Do they use it? If not, why? Timeliness: Are they found in time to be used? Relevance: Are they relevant to users’ jobs? Ease of use: Are they easy to access and use? These questions were laid out in a logical order; if a survey-taker wasn’t aware of a resource, we didn’t ask them more about it and skipped to questions about the next resource. That means that some users didn’t see all of the questions in the survey; our aim was to avoid wasting respondents’ time. We provided an opportunity after each set of questions for survey-takers to provide feedback on those areas. This feedback gave us key insights into how we could improve in certain areas since it revealed why a respondent felt the way they did, beyond just a number. At the end of the survey, we asked for a rating that allows us to calculate our Net Promoter Score (NPS). The NPS is an index that measures how willing members would be to recommend Greater Public to others. We use it as a proxy for gauging members’ overall satisfaction with our service as well as member loyalty. Our first step when calculating NPS is to ask respondents to rate how likely they are to recommend us to a colleague on a scale of 1-10. 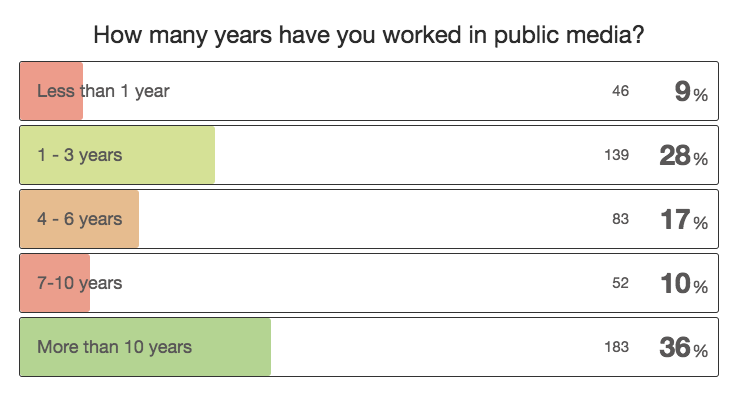 This year, Greater Public was given an NPS of 42. Given the NPS range of -100 to +100, a “positive” score or NPS above 0 is considered “good,” +50 is “excellent,” and above 70 is considered “world class.” For example, Starbucks has an NPS of 77, Apple has an NPS of 44, and Reynolds American, Inc. (cigarette maker) has an NPS of -3. If you’d like to capture your NPS, you don’t have to have your audience take a long survey. It can be as simple as one question asking if they’d recommend you to others. Use the calculation above to determine your number, and make sure you do it often and keep a running snapshot of your score. We’re pleased with a near-excellent NPS, but we always strive to do better in support of public media and its fundraisers. So our next focus is to mine the results from each response area to determine how we can improve. 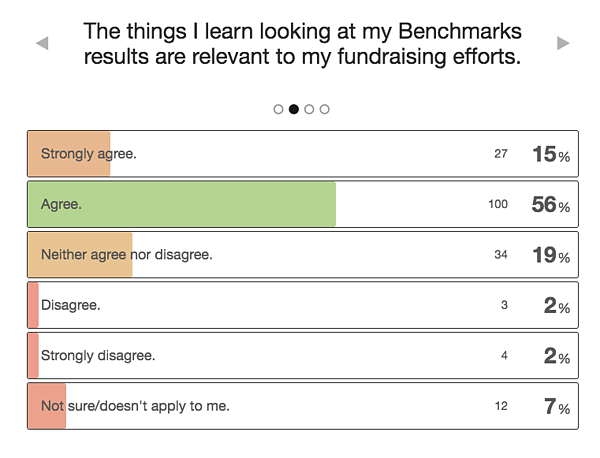 Modern donor relationship management is so very important - this and other respondents reinforced that idea for us. We’re working on a resource to help with deciding what CRM (customer relationship management) system is best for public media organizations. We received several variants of this feedback. The short answer is “Yes!” We are making immediate plans to start producing scripts and letters earlier. We are in the midst of updating and reorganizing our Digital Leapfrog training module so that answers the most pressing questions about digital sales. We’re also about to launch a robust resource about selling podcast sponsorship. Our Credit Copy Central is one of our most-used resources, but that doesn’t mean we can let it languish. We have begin categorizing questions and updating the language library! We hope to see it grow as much as you do and this is one of our main priorities for 2019. Real-time advice and consults from Greater Public’s professional advising staff is one of the most useful resources we offer members. If they have a question, problem, or obstacle and would like to hear from someone with years of experience, our advisors are just a phone call away. We were surprised to learn that 33% of respondents were unaware that advisors were available as a part of their Greater Public membership. We’d love for that datum to decrease, so we’ve initiated outbound introduction calls and emails from advisors to new station staff. Members may receive an email from our own Beverly James, Anna McDonald, or Melanie Coulson in the near future offering help. We hope they take them up on it! One-to-one advising is a major benefit that comes with Greater Public membership. From those who knew about and had spoken with advisors, the response was overwhelmingly complimentary. We were exceptionally pleased to hear that nearly 100% of survey-takers strongly agreed with the statements in the survey about our advisors responding quickly with expert advice and having a real impact on their work. Many respondents took the time to praise an advisor or two by name. Honestly, public media people are so nice, and awesome cheerleaders. Thank you. We received a lot of comments about Benchmarks and have spent the last 3+ months and significant budget on refining and improving our system, with more to come in 2019. Our beta testing is at an end and we have launched our all-new Benchmarks system that offers more comprehensive reporting, refined and detailed categories, and easier data-entry. We hope to receive continued feedback as we launch the newest version. We agree! We’re working hard to partner with small stations to showcase these examples. We recognize that many small-station staff are even more limited in time to present a webinar, but we’re working hard to bring our members more of this in 2019. This is an interesting idea that we hadn’t considered. The BrightTALK platform has a mobile app that allows members to watch and listen to recorded webinars on their phone, and we plan to better promote this option. We're also investigating whether or not many of our members would value having a downloadable audio file of all webinars. This is the second year we’ve conducted a member satisfaction survey and it’s given us a lot of great ideas of how to provide the best service possible to our members. Last year, we had very similar scores across the board on each service, with one exception: Net Promoter Score. In 2017, members gave us an NPS of 28. This year we jumped to 42. We hope that was the result of our increased focus on service and improvements we made to resources, but since the survey is anonymous, there’s no way for us to know if it’s just because different people responded to the survey who already had a more positive view of Greater Public. Since the scoring of each individual service didn’t move that much, we likely won’t repeat this long-form survey next year. Instead, we’ll use a single question to ask members to rate our resources after each interaction with Greater Public. 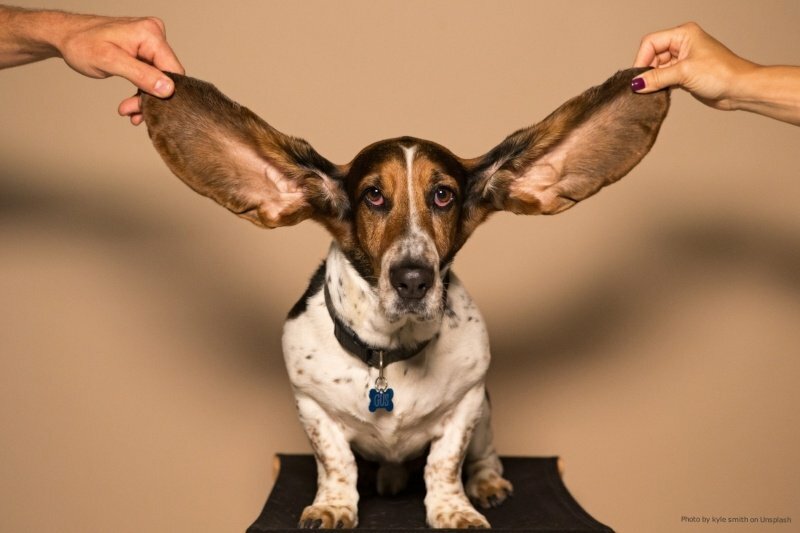 We know there are ups and downs in fundraising, but we strive to maintain a consistent and worthwhile stream of information, templates, tools, and best practices to help our members be absolutely amazing at what they do. I hope this review of our recent member survey has been informative and has exposed you to Greater Public offerings you may not have been aware of. If you’d like to send me feedback about any of our services, I am always eager to receive suggestions and comments. If you’re not a member and would like more information about becoming a member and accessing all of these benefits, please reach out as well.